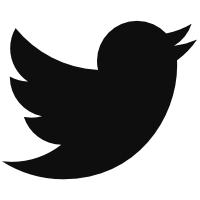 CLEVELAND — In case you’ve not been logged into your social-media account in the past several days, Indians pitcher Trevor Bauer has been outspoken about rampant use of pine tar (and other grip-aiding substances) in the game. Bauer’s position is basically that the playing field ought to be level: either MLB better enforces the pine-tar rule or it makes grip-aiding substances legal. And Bauer knows it would be about impossible to enforce the current rule. Bauer says he has tested pine tar in a lab setting and said it significantly increased his spin rate. He claims it has a greater effect than steroids on performance. As many in this audience are aware, the greater the fastball spin rate, the more “rise” effect the pitch has, the more it resists gravity, the more swing-and-miss it generates. More spin equals more swing-and-miss. That’s been proven by Driveline Baseball, where Bauer trains, and FanGraphs’ own Jeff Zimmerman. There is incentive to add spin. And now with Statcast and its TrackMan Doppler radar component in all major-league stadiums, pitchers have had the ability to measure their spin to better understand some of the underpinnings behind their performance in game environments. But spin is thought to be largely innate, a difficult skill to enhance. Generally, the more velocity a pitcher has, the more spin a pitcher is capable of producing. There is a relationship between spin and velocity, so if you can increase your velocity, you might be able to increase your spin rate. Spin declines with age like velocity, though not quite as sharply. An easier way to create spin is thought to be in doctoring the ball. Pine tar and other substances can improve grip, which is believed to increase spin rate, but there is little enforcement of the rule unless it is blatantly departed from. And to be fair, it seems like a rule difficult to enforce even if MLB wanted to. Would pitchers’ hands be swabbed after every inning? At least one member of the Astros did not appreciate some implications made by Bauer. While the Astros lead baseball in four-seam fastball spin rate, it’s difficult to attribute that to any one cause. For example, a pitcher like Charlie Morton has dramatically increased his velocity, which should come with a spin-rate change. Some Astros pitchers have gained spin in Houston, but not all, as Eno Sarris found at The Athletic. Eno concluded that this is a difficult thing to study, and it is, as we are working with incomplete information. For instance, automated pitch-labeling is hardly perfect. “There is a problem in baseball right now that has to do with sticky substances and spin rates,” Bauer told reporters. “We might not have had the technology before to measure how sticky stuff affects the ball, how it spins, how it moves. But, all that research is clear now. We know how it affects spin rate and we know how spin rate affects outcomes and pitches and movements that have a big difference in a game, a season and each individual player’s career. 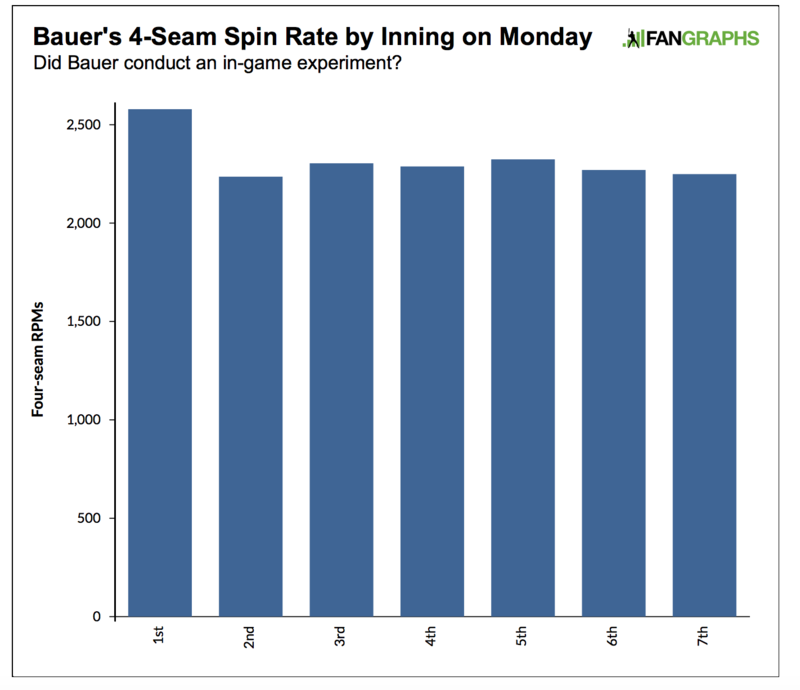 Interestingly, Eno notes in his post that Bauer’s spin rate was up early in his Monday start. Bauer had noted earlier on Twitter that he had increased his spin rate by about 300 rpms in a lab setting using pine tar. Bauer’s spin is typically around 2,250 rpms, just about league average. That’s relevant because, during Bauer’s start on Monday, his four-seam spin rate sat at 2,579 rpms in the first inning — that is, roughly 300 rpms higher than usual. That figure settled back into the upper 2,200s and lower 2,300s for the rest of the contest. Bauer's 4-seamer had a spin rate of 2,597 RPM in 1st inning of last start, compared to a 2,294 season average. Had "no comment" on whether he used a substance on the ball, but noted that his research shows a 200-300 RPM jump on higher-velocity pitches when a substance is used. If — and I’m definitely saying if — that’s what Bauer did, he might prove in a game setting that a pine-tar-like substance is really a significant rpm-enhancer. What is not clear is if it’s the only way to increase spin rate. We know there is a relationship with velocity, but can certain pitchers improve spin without velocity increases? One would need a more complete understanding of pitching physics than this author to answer that question responsibly. We’re early in the Statcast era; there’s still much to learn about the science of pitching. Maybe some players or teams have found ways to legally improve spin. We have to be careful in attaching labels. We also should not be so naive to think players and teams will not look for edges where they can. If MLB wants pine tar to be illegal, baseball should probably better try and enforce the rule — or just legalize it. Unfair advantages ought to be eliminated as much as possible. Regardless of whether a lot of players are doctoring the ball — Buster Olney investigated the issue — I wondered this: are a lot of pitchers changing their spin, which is thought to be difficult to do? If this is a widespread thing, Statcast should offer some data, some clues. I asked for Zimmerman’s help. He examined the individual four-seam-spin gainers and losers from 2015 to 2018, and 2017 to 2018. Among pitchers to have thrown at least 50 four-seamers in 2015 and this season, there were only 15 pitchers to increase their rpms by 195 or more, and some of those pitchers had velocity bumps — like Morton — when you would expect to increase to some degree. However, others had no gain or even velocity losses. A lot of the rpm losers also have accompanying velocity losses. You don’t want to be on that above list as a pitcher. Is there any sense of a widespread problem? I’m unsure myself. One could argue that baseball has been unfair to pitchers with the ball and seemingly constant changes to its seams and properties according to research by Rob Arthur. Bauer noted batters might be OK with pine tar if it means better control. There is an argument to be made that baseball should better enforce the rules (though that’s easier said than done) or allow pitchers the option of gaining a better grip. At the end of the day, most everyone wants a level playing field regardless of what the playing field looks like. We hoped you liked reading Trevor Bauer Might Have Conducted an Experiment by Travis Sawchik! It would be interesting to go watch the game film and pay attention to Bauer in the first inning for evidence of… experimentation. Forget Bauer, Clayton Kershaw must have bought himself a pine tar factory. Huge drop in velo, big increase in spin rate.